This book offers a long-awaited opportunity to assess the thought and influence of one of the most famous of all writers on music and the musical links with his fiction. Containing the first complete appearance in English of Kreisleriana, it reveals a masterpiece of imaginative writing and whose profound humour and irony can now be fully appreciated.Hoffmann, E. T. A. is the author of 'E. 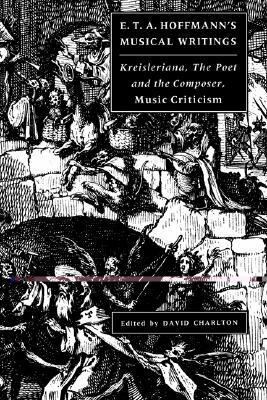 T. A. Hoffmann's Musical Writings Kreisleriana; The Poet and the Composer; Music Criticism' with ISBN 9780521543392 and ISBN 0521543398. Loading marketplace prices 149 copies from $58.07 How does the rental process work?